20 summer treats around the world #infographic ~ Visualistan '+g+"
Ever wondered what others around the globe crave during summer for a treat? You may be surprised at the range of different tastes and dishes served around the world when summer hits. 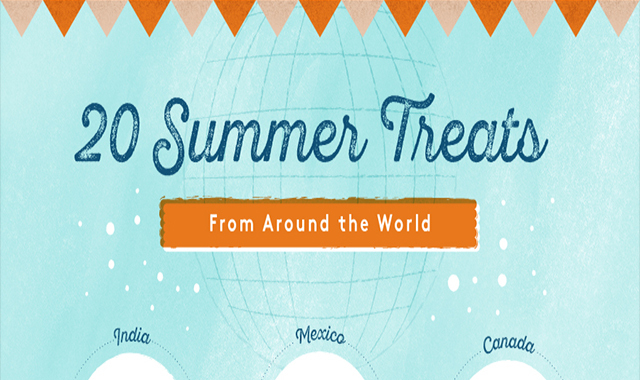 From tartufo and whiskey prune to creamed cod ice cream and kulfi, we’ve illustrated 20 different summer treats around the world in this tasty infographic.